Red Hook Orchestra is a NYC wedding band, and the sister band of The Dexter Lake Club Band. 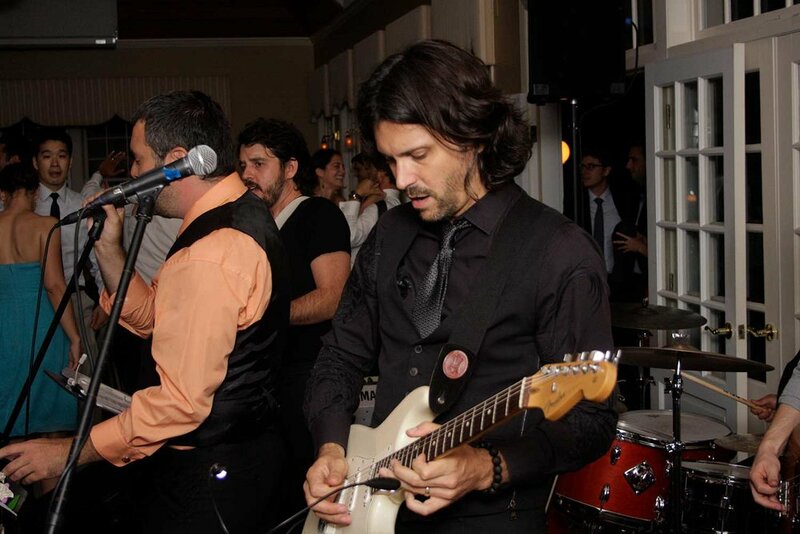 We provide high-energy live music for weddings, corporate events, parties, and concerts. The Dexter Lake Club Band is NYC’s only event band to be featured on the Cover of The New York Times. We play a Live Wedding Music Showcase every other month at our rehearsal studios in midtown Manhattan. Thanks for your interest in Red Hook Orchestra. We’ll be in touch shortly with all the details for our next showcase. Red Hook Orchestra is fast becoming one of New York City’s busiest and most popular event bands. The band was formed in 2009 by the bandleaders of The Dexter Lake Club Band. Red Hook Orchestra plays the same song list as The Dexter Lake Club Band delivered with the same high-energy approach derived from years of touring in rock and indie bands and performing in clubs, arenas, and at festivals. Made up of some of NYC’s most sought after musicians the members of Red Hook Orchestra have toured, recorded, and performed with Norah Jones, Regina Spektor, Bill Withers, Dido, Scandal, and Air, amongst many others. Red Hook Orchestra has performed over one-hundred private and public events appearing at some of the top venues and event spaces in New York and throughout the United States and North America, including the Bowery Ballroom, Knitting Factory, Rockwood Music Hall, the Bowery Hotel, Steiner Studios, the New York and Brooklyn Botanic Gardens, Prospect Park Rock-n-Roll Marathon, Tribeca Rooftop, Chelsea Museum, the Canadian Association of New York Foundation, and the Montreal Science Center. Red Hook Orchestra has unanimously 5 Star ratings on Wedding Wire. Check out our client reviews below.